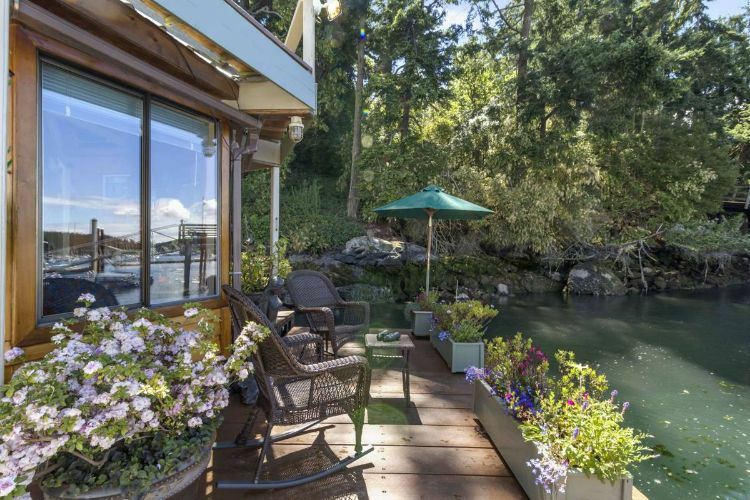 Docked in San Juan Islands, Washington, this quiet, tranquil houseboat getaway has everything you need to leave your cares behind. 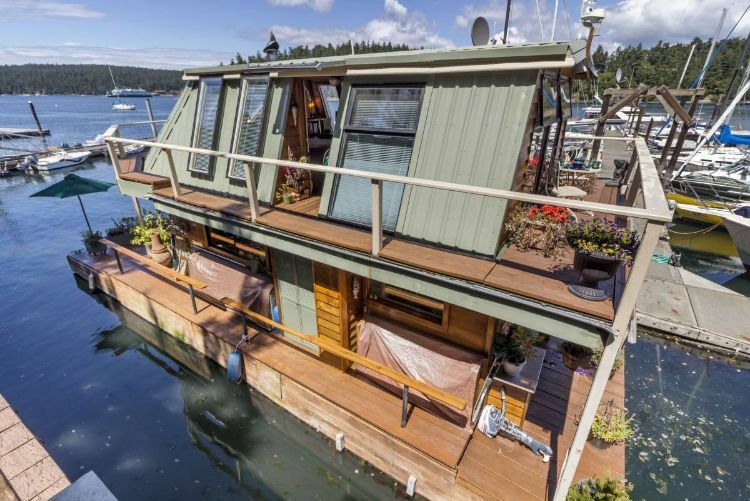 Meticulously crafted and decorated, the houseboat features details such as a sunny solarium that will leave you awe-inspired. The two-story design offers plenty of room to relax, including one large bedroom, an oversized kitchen and a roof deck with stunning seaside views. 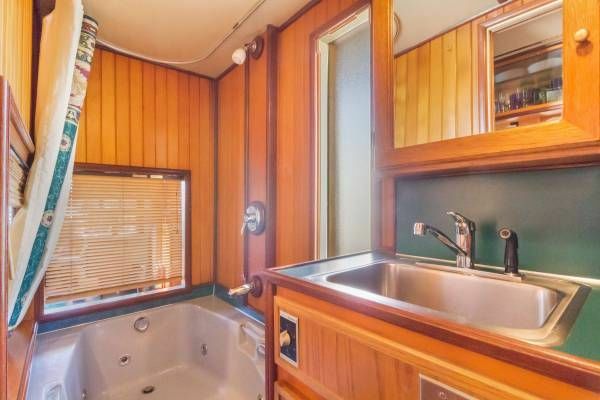 This detailed rental listing provides everything you need to know about the boat. 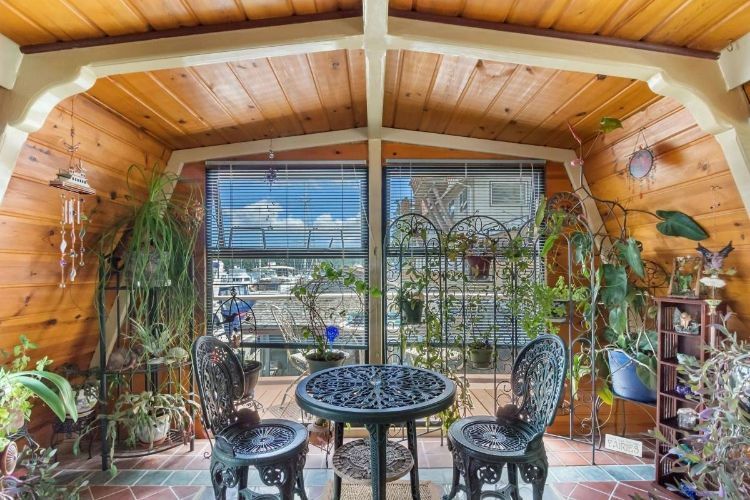 Otter Magic is docked in a private marina, and with its beautiful patio, large windows, state-of-the-art appliances and numerous plants, the space simply feels like the most beautiful place to unwind. 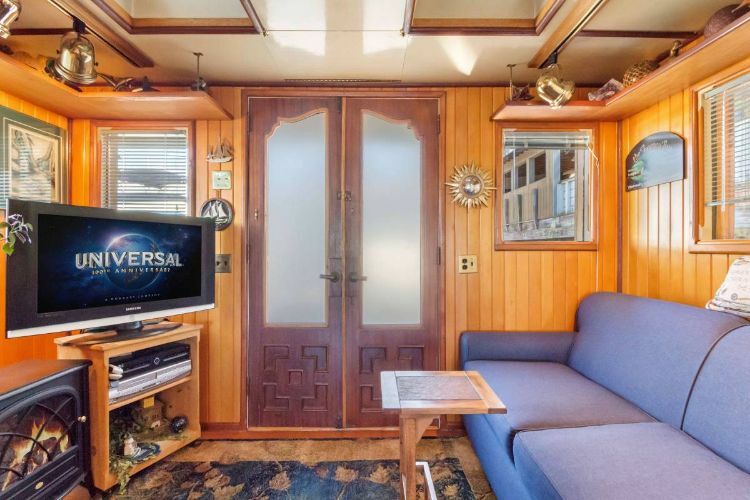 As soon as you enter the boat, you'll be taken aback by its sheer beauty and spacious design, with features such as vaulted ceilings and gorgeous hardwood floors. 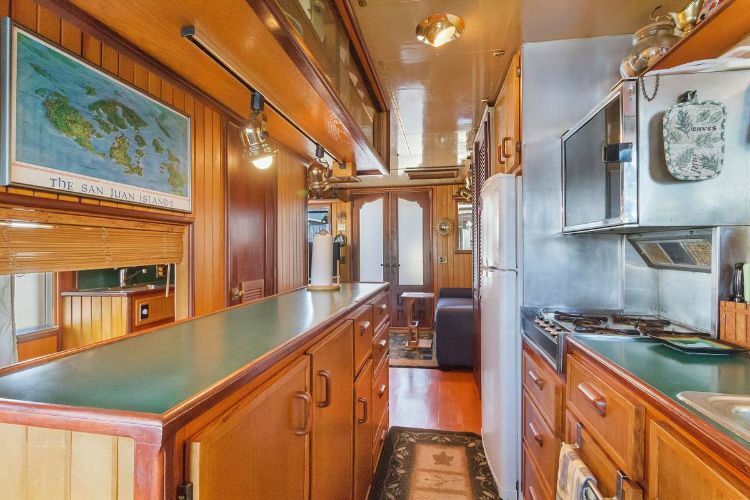 The eat-in kitchen offers custom cabinets and counters, an oven, double sink, microwave and refrigerator. Custom shelves overhead provide plenty of storage space, as well as drawers and cabinets underneath the counter. Pendant lighting, and wood walls create a cozy cottage feel. Right around the kitchen corner, there's a washer and dryer set for added convenience. 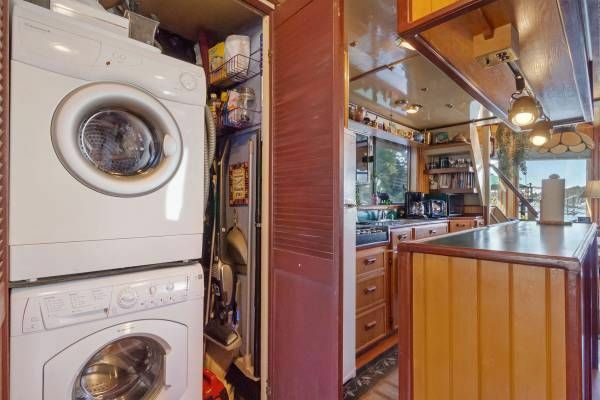 This boat really does boast all of the comforts of home. 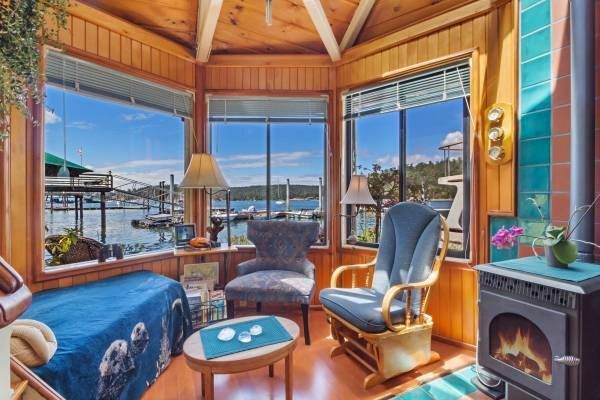 The living/sitting area has an awesome view of the ocean and features a sofa, fireplace, television and French doors that lead outside. Facing the windows, you'll see the salon, a spot just right for relaxing and enjoying the inspiring view. The bathroom includes a jacuzzi tub, sink, shower and plenty of storage space in the form of cabinets underneath and above the vanity. Head upstairs to see the bedroom, salon and bathroom, including this cozy bedroom that features a king-sized bed, television and plenty of bookshelves, providing a warm, inviting environment. Multiple windows let in just enough sunlight. The upstairs area also includes one of the jewels of the boat – the solarium. 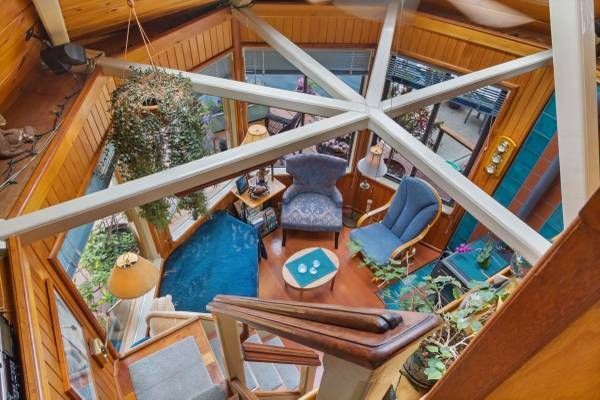 Filled with plants and including a table and chairs, the solarium is an enchanting place to spend time. Tiled floors and large windows almost make it feel like you're outside, and it's absolutely gorgeous. 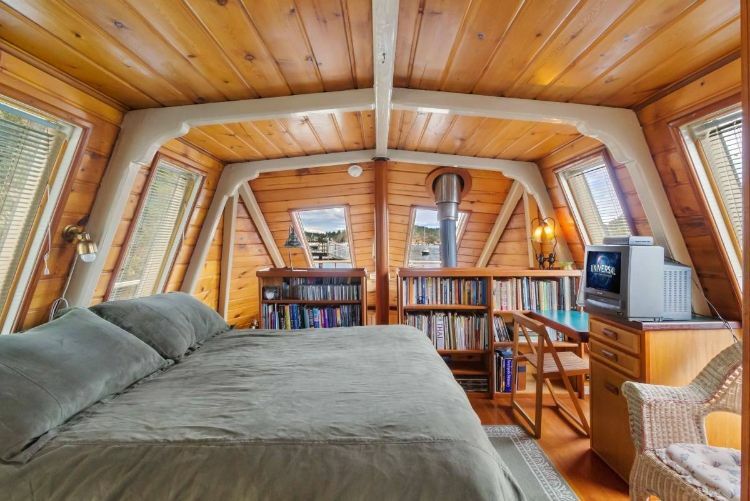 The outside of the boat is just as beautiful as the outside. Filled with sculptures, plants and flowers, the outdoor deck provides a tranquil spot to spend time. The deck is roomy and filled with fragrant flowers, umbrellas and comfortable chairs to sit in. 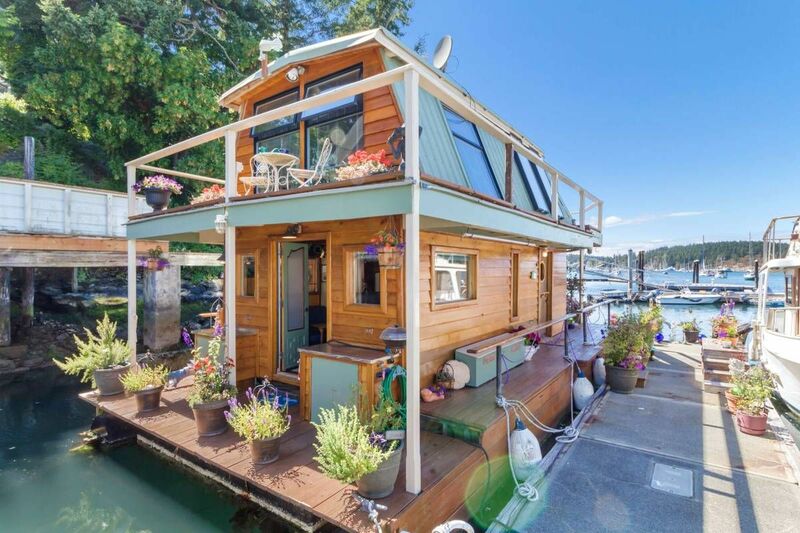 Can you imaging spending a vacation on this beautiful boat? You'd never have a care in the world! From upstairs, the first floor looks simply stunning. Once you get on this boat, you'll never want to leave, and it's easy to see why: It's simply amazing. Walk through Otter Magic and see how it got its name. With chic, contemporary, upscale furnishings, this immaculately designed home is visually appealing as well as comfortable, and you can't beat the view and the proximity to the most precious seaside town you've ever seen! 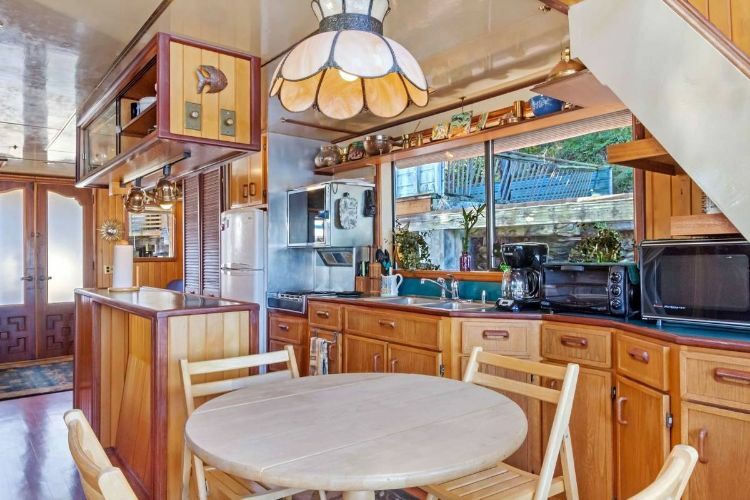 A mix of contemporary and retro art, along with unexpected color combinations and sweeping, sun-filled rooms make this more than just a houseboat-it's a work of art. 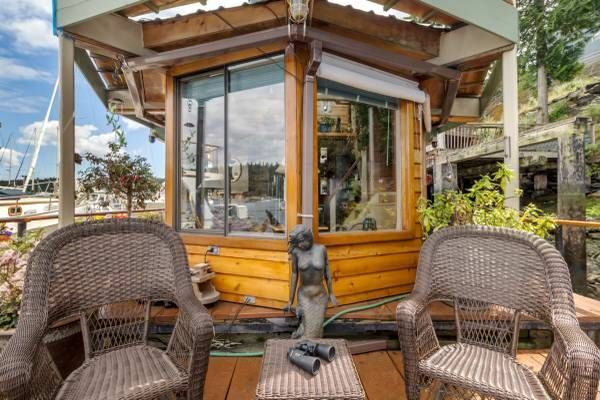 Located in the Yellow Ferry Harbor, the houseboat is about 12 minutes from the Golden Gate Bridge and San Francisco.